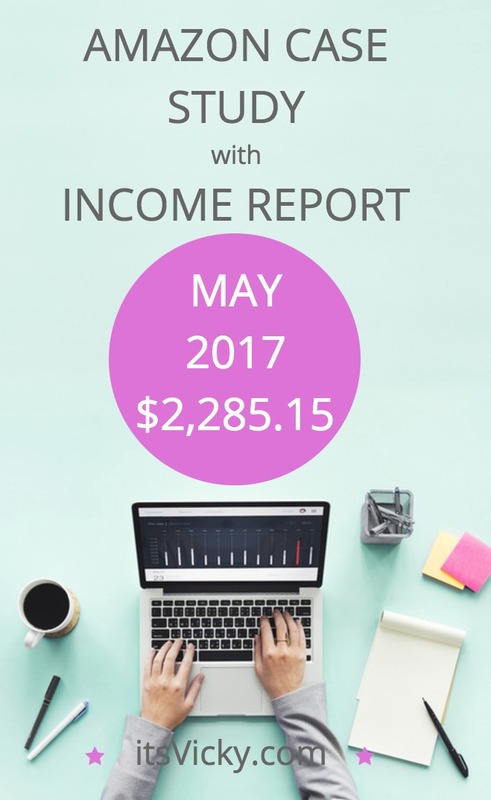 I am super excited to share the numbers for May 2017! November, December, and January were good months, but since that, we’ve seen a drop in earnings each and every month. Partly because the holiday season is over (for now), partly because my main niche is winter month based. Finally, things are turning around and it’s mainly because of the independent program that I partnered up with. Last month I had 1 sale with them, wait til you see the number of sales and commission the site generated this month, exciting! Being an affiliate marketer is an interesting journey for sure. I’ve been doing it for 9+ years and are forever grateful for the freedom it has created for me and my family. Being able to stay home with the kids AND work for myself has been the perfect solution for us. If you want to know more about how I got started with affiliate marketing you can read about that here. This site started because I was curious about making money with Amazon. Some people I met had great success and some were really struggling to even make their first dollar with them. The only way to truly find out if Amazon is worth it was to set up a site monetized with Amazon and see what it can generate. I decided to share my journey, my numbers, and stats with my readers. So that you can get a realistic view of what it takes to make money online. So that you can see the ups and downs, high and low. It has also been a great way to keep myself accountable. I run a few different sites and I’ve chosen to share the numbers from this one case study site, to be honest, and real, in hope that you’ll find some valuable information. If you run an Amazon site your numbers will most likely be completely different from mine, you might earn a lot more or less. Many factors play a part in the result of your site. Feel free to share your results in the comment section below, I love hearing how others are doing with their sites. Some of you have been with me and this case study for months, some of you might be new. I just want to share real quick what my criteria for the site were before I started it. In an evergreen niche, I chose the health niche. 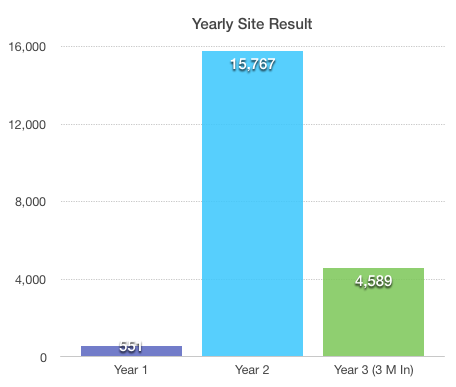 We are now 3 months into year 3, let’s see how the site is doing. The decrease in page views is due to a plugin I was playing around with. My only concern here is the drop in session duration. I want my readers to stay and read my content and not leave too soon. I will have to keep an eye on this. Most visitors find my site in the search engines, let’s look at content and what’s ranking. Most my traffic comes from organic searches in Google, Yahoo, and other search engines. It’s crucial for the site that new content is submitted on a regular basis. During the month of May, I’ve been scheduling posts ahead of time making sure that the summer months are covered when it comes to content creation. Thanks to my excellent writers and the scheduling feature in WordPress I’m now well ahead of schedule. During the summer months, I will be submitting 3 – 4 posts weekly. Two general information posts, one product review, and one miscellaneous post. Product reviews and top lists are still ranking very well for the site. Four out of top five traffic generating posts are cold month related posts. We’ll see how this develop over the summer months. I thought it would be interesting to take a look at what the products relevant to the above traffic generating posts bring in and compare that to the traffic. Spot 6,7 and 10 are from sub-niche 4, not cold month related. It’s interesting to see that the highest traffic generating post from sub-niche 2 comes in on spot number 4 when it comes to earnings on Amazon. This is due to being a low ticket item. 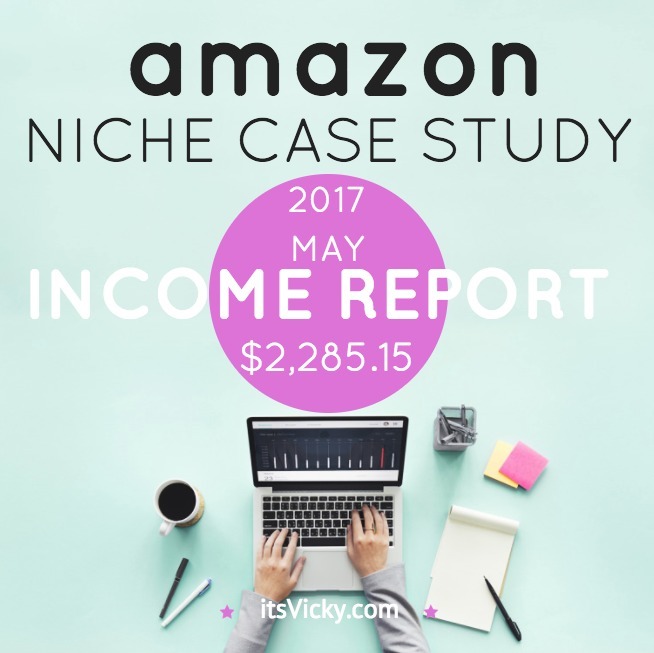 The best earner on Amazon, sub-niche 3, due to being a high ticket item, holds spot five when it comes to traffic. It’s for sure important to promote high ticket items, but the volume with low ticket items can add up especially around the holiday season. This spring my writers have been working on two new sub-niches that are all-year around niches. All though they are low ticket items I’m hoping they will generate good traffic to the site. Looking at the commission from Amazon and comparing it with the affiliate program that I took on… well, they knock them out of the park, only two months in using the program. The company offers products from sub-niche 3, which are high ticket items. Still, cold month related, but they really converted well in May. More on that in the income report section. When looking at the “health” of the site I don’t only look at traffic. Since one of the main sub-niches is focused on winter month related content and products, looking at the keyword rankings gives me a better look of the overall health of the site. Are keywords improving or declining? Last month the site was ranking for 9,058 keywords and had 133 top 3 rankings. Looking at the May numbers we hold 9,494 ranking positions and 146 top 3 rankings. I like the progress. Since I do rely on organic traffic, I want to keep an eye on Google and their updates since this will impact rankings and listings. SemRush, one of my favorite stat tool, recorded 4 high activity occasions during the month of May, this can indicate changes. Google seem to no longer publicly announce all changes, so this can be a guessing game at times. May 17 there seem to have been a core update, targeting low-quality sites. After the change in the Amazon commission structure, I was not opposed to taking on another affiliate program. Amazon changed their commission from volume based to basing it on the product category. Being in the health niche, a lot of the products I recommend took a hit, earning me less than before. Going from 6 – 7 % to 4.5 % made a dent in the income. A couple of months ago, I came in contact with an independent affiliate program, they wanted me to send traffic directly to them instead of Amazon. At first, I wasn’t sure there are many benefits sending the traffic to Amazon, but when the commission change came I decided to give it a chance. Last month I had 1 sales from the program making me a commission of $62.91. This month, after some changes, it improved drastically! I’m thrilled to see the progress with this independent affiliate program. This is still in a winter month related niche so we’ll see what it can do over the summer, but I’m super excited to see what this program can generate next fall and winter. It was sure worth trying out this new affiliate program. $157 per thousand visitors is the best number this far for 2017. The holiday season last year was better but to get this number in May is exciting. The new affiliate program definitely contributes to the good number. I am working on sub-niches that focus more on all year around topics and products. I see a few sales here and there, but hopefully, we can get some traction and up the sales with those products as well. This case study site is on shared hosting, that’s how I can keep the cost down. Are you new? Try this hosting, easiest one out there. I like the progress from last year to this year. We are not reaching December numbers but I’m glad to see that May 2017 is up competing with the November and January numbers. 5 months into 2017 and May delivered good numbers. BUT, if you’ve been following this case study you know that we have high hopes for this site. 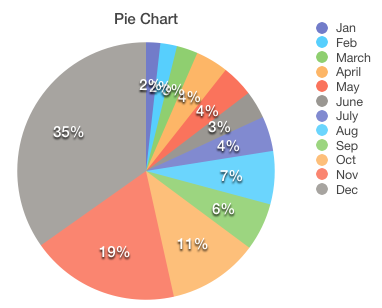 In the beginning of the year, I shared this pie chart of the 2016 income. December brought in 35% of the total income. If we could keep the same growth this year, that would mean an income of $100.000 for the site. 5 months in, to be on track to $100K we should have earned a total of 15 K. May should have brought in 4K. We are behind, with a total earning for 2017 of $8,892.04. We have some catching up to do!! Do you want to set up your own website or blog? I would love to show you how to in my video course! If you missed any previous posts in this case study series you can catch up here. To a great June 2017! Have a productive day! Do you link to the non Amazon website from a single product review or from a top X post? I would assume a single product review would work better than top x, but that might not be the case.. Thank you! It was exciting to see the nice jump in earnings from this independent affiliate program. I was debating back and forth if I would take on the program, but now I’m glad I did. I had done a couple of product reviews for them but they were linking to Amazon so I switched those links pointing directly to their site. So to answer your question, the links goes out from the in-depth reviews in this case. How’s your site coming along? Thanks for a comprehensive report – quite enlightening. I have been wondering about Amazon and whether it was worthwhile affiliating with them. I will definitely revisit your website! Way to go Vicky! Those are awesome numbers. I am impressed and motivated. It is good that you have shared your method and tools that you are using so those of us who need help can have an idea about tools that work. Thank you glad you found it helpful. Hi Vicky! Great post! I am fairly new to affiliate marketing (3 months in) and am really encouraged by your numbers! I haven’t made any money yet on Amazon or with any of my affiliate networks but I am hoping that will come with time! Thanks for this great share! I love learning about this and it really encourages me to keep on doing the work! 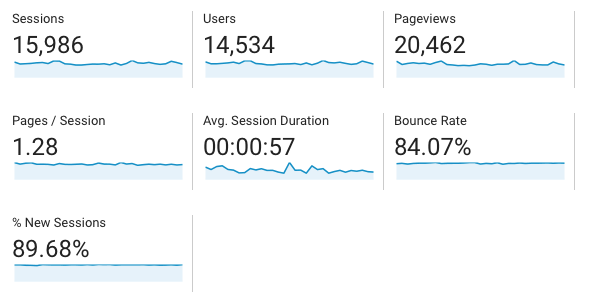 Three months in… you are doing a great job with your site! The monetization and money will come. Three months in I was still in the red with the case study site. Keep at it and great things will happen! Cool numbers Vicky. I can see you have been at this blogging venture for income for a while and you are a great example of succeeding in this industry. Well done! Wow! I love the steady progress you are making. It must be a great source of motivation. You are proving a steady source of content is key to getting organic traffic. Thanks for sharing. Yes, helpful content submitted on a regular basis will over time grow and generate good traffic. It is amazing to see your success and earnings. It is very inspirational! Thank you for that! I wish you more success! Thank you for sharing! Yes, I always have a fixed price for my articles. $7 for 500+ word articles for example. I hire native English speaking writers. I’ve tried a lot of different writers over the years… but now I only hire writers that are native fluent and error free in the written English language. For my case study, I have a college student from PA, USA and a retired nurse from the UK… great writers! Another question – do you use a persona for your niche site and do you recommend one? Also could you give a little info about how your site is laid out? Do you just use links to products on amazon or do you utilize native shopping ads or other ads that amazon offers? Thank you! I use mostly product links. I tried the native ads and they work ok, for this site I find the reviews and direct product links working best though. Great results there. So sorry to see the dent in your income from the amazon side of things but it is great how you have managed to recover that by affiliate program no 2. It is really a true testament that we all should be aiming for a multiple supplier relationships. As trusting and time tested as amazon is the change in their commission structure really caught us all with our pants down really. Luckily, a friend of mine, a Harvard MBA Business grad, gave me some top advice on that to help me avoid this kind of issue in the future. His advice was have 3 affiliate programs generating income divided 40% 30% 30% income distribution wise. Seems ever so simple, when one has problems – say a lack of supply of their products (out of stock) or changes in commission structure we are not so affected business and money wise. With this site, I now have two good affiliate programs to work with, I wouldn’t be opposed to taking on more as long as they are relevant to the site. Hope things are going well with your site as well Derek! Wow.. such a good progress, Vicky. I was amazed at your result with the non-Amazon affiliate program. 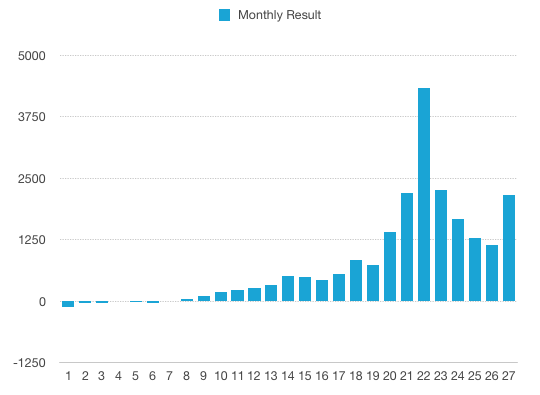 TBH, my website relied a lot on Amazon, the latest fee structure change did affect my monthly income. I was reluctant when someone suggested me to look at Ad Network, but now, 2 months after engaging an ad network, my income grows to almost double my previous Amazon earning. Lesson learned here: I guess we just need to test if a particular source of income will work or not for us. Don’t just assume that one will always outperform the other. Btw, have you heard that Amazon recently launches OneLink for link localization for US, UK and Canada stores. Do you think it is worth trying or you still prefer to go with easyAzon? Thank you! You are absolutely right, not until you try things on your own site will you know what will truly work and convert for you. Congratulations to your income increase that’s great!! Currently, I’m still using EasyAzon, due to the time it saves me adding links.It’s also a great way to make sure that images and prices are always up to date using the ASIN code. I have not tried the OneLink feature. Right now EasyAzon is working really well for me.